What with the lack of vowels in the name, you could be forgiven for thinking that Ischgl is somewhere in Wales. Unfortunately you’ll have to travel a bit further than that. Fortunately, if you do go there you’ll find some of the best bikes in the world all ready for you to jump on and explore some of the best biking terrain in the world. 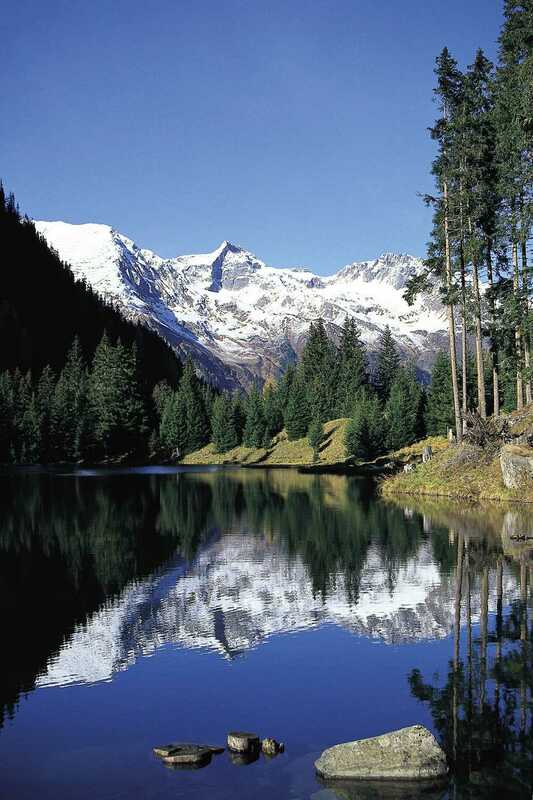 Ischgl is a small Alpine village standing at 1,377m in the Paznaun Valley of the Austrian Tyrol. Over the years it’s grown a bit and has become a popular centre in one of the largest skiing areas in the Alps but, as you might expect, business tends to get a bit slack once the snow melts. 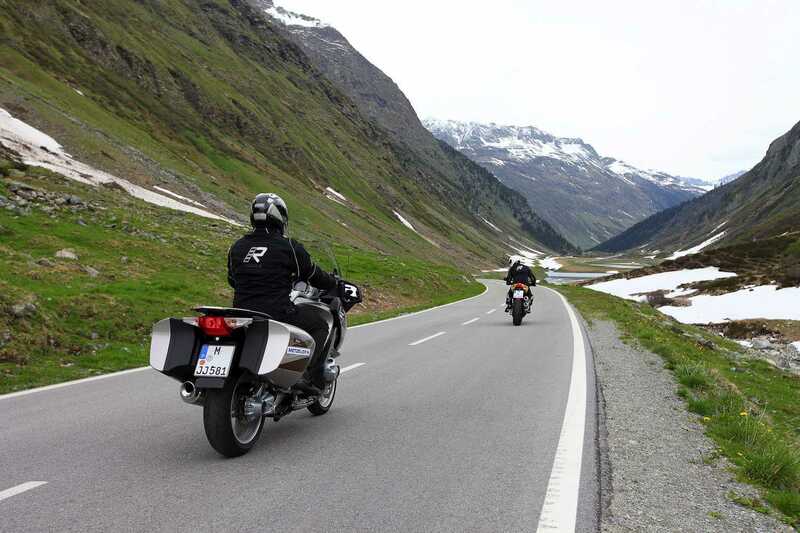 So the enterprising burghers of Ischgl got together and thought-up a few new ways to attract summer walkers, cyclists and… motorcyclists. 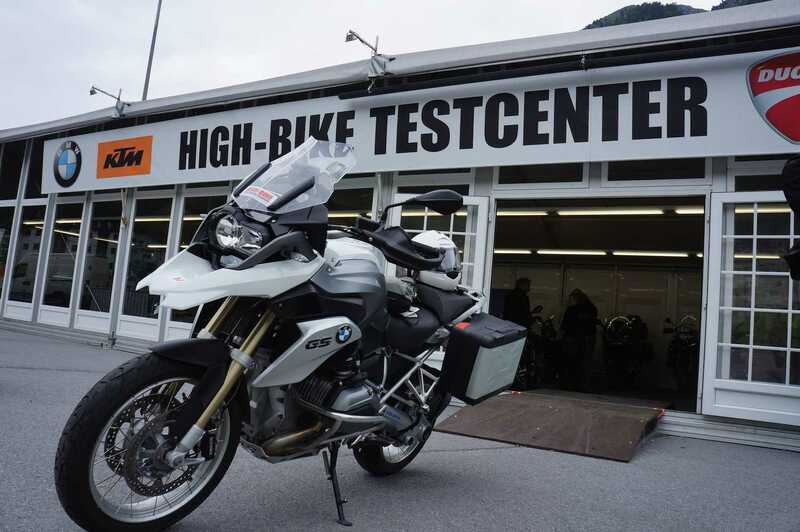 And so, three years ago, the idea of the “High-Bike Test Centre” came to fruition, offering all-day unaccompanied test-rides on some of the very latest models produced by the European bike industry. 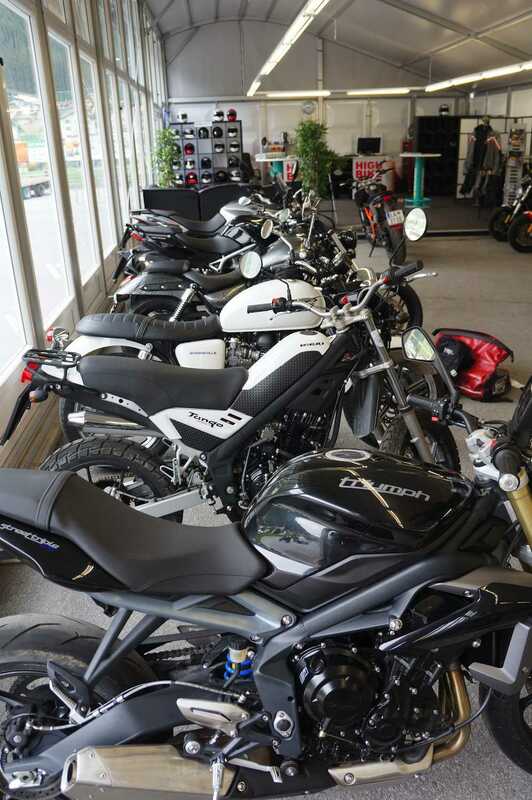 Each spring, a temporary showroom is built housing forty of the best bikes from Austria’s own KTM as well as Ducati, Triumph, BMW, Aprilia and others. 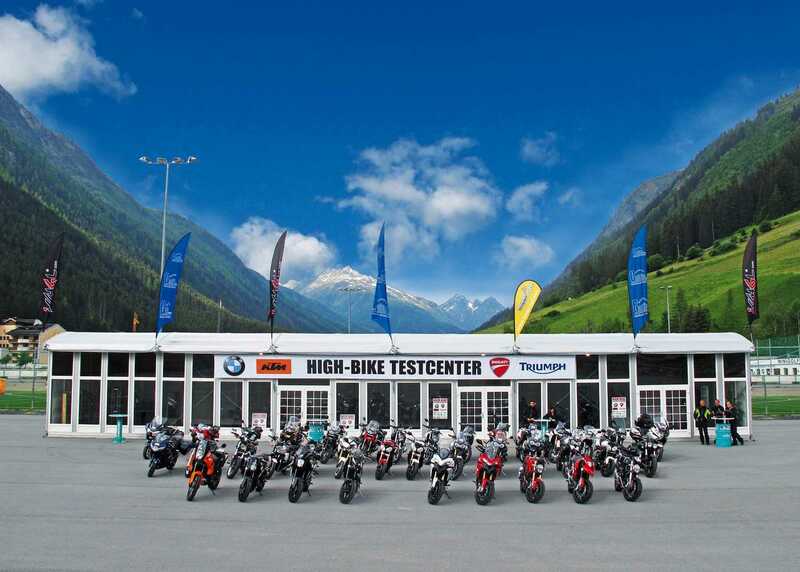 The High-Bike Test Centre works directly with the bike manufacturers, Pirelli-Metzler tyres and Motorex oils. They also offer Rukka suits, Daytona boots and Schuberth helmets for hire so, even if you arrive without any riding gear, you can still test out the bikes – and remember the weather in the mountains can vary considerably as the road rises and falls from high-passes to valley-floors (if you’ve been to the Isle of Man, it’s like that but on steroids) so having the right kit makes all the difference. In essence, all you have to bring with you is your driver’s licence, your passportyou’re your toothbrush. Don’t think of this as a glorified bike-hire garage. Each bike can only be hired for one day, you can test as many as you like but it has to be a different model every time. How often do you get an opportunity to compare a KTM 990 SM-R against a Ducati Hyperstrada on the roads their designers had in mind? I spent two days in Ischgl, which lies on the Silvrettastrasse, amidst many popular biking routes around the Swiss, German and Italian borders. 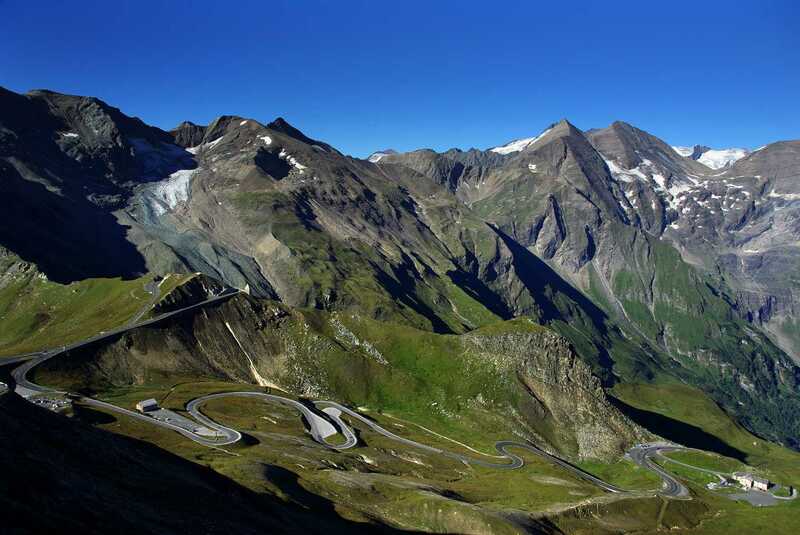 The first day took me to Lichtenstein, where all the café’s appeared to be closed for lunch, via the beautifully sylvan Furka Pass; while on the following day I found myself dropping-in to Italy, ascending the forty-eight hairpin bends on the famous Stelvio Pass amid snow flurries, before a quick detour through Switzerland on the way back. The High-Bike Test Centre opens-up a plethora of possibilities for anyone with the wherewithal to find a cheap flight and a B&B: maybe you want a proper try before you buy (especially if you can’t make your mind-up whether to sell your soul for bike A or B); then again you might be looking for a mates’ weekend away with a difference (best leave the local weissbeir or dunklesbier until after the ride); or there’s the bike you’d love to own but can’t ever see it happening; maybe you fancy a family holiday somewhere different away from the beach, where you can still get your quota of bend-swinging on something more exciting than a car. 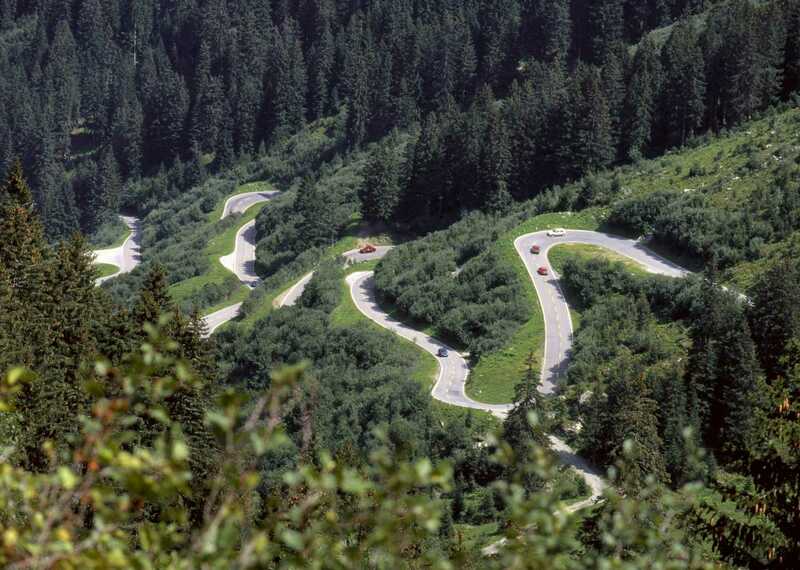 A long-time ago on a salary far, far-away, I had a couple of the original 1000cc Multistradas and loved riding them on Alpine roads. So I was keen to find out how far things had progressed – a long way is the answer. The suspension was like riding on air, with none of the disconcerting judder under braking that both my bikes suffered, while the seat was clearly designed to provide comfort for more than an hour or so. The engine was smoother and a lot quieter (thanks to water-cooling and a wet-clutch) with multiple mapping options for riding in the urban/wet conditions, touring or sport-riding. In over three decades on bikes I’ve rarely felt relaxed riding on wet roads, but somewhere between the active suspension and traction control, the progressive brakes, grippy tyres and natural balance of the machine, I was able to ride with confidence as the heavens washed foaming detritus across the carriageway. Much the same can be said for the KTM 1190 Adventure. I’d been told this was the ‘Multistrada-killer’ – similar features but lighter, easier to handle and with a much simpler user-interface for adjusting all the gizmos. Which all seemed to be true, the KTM clutch felt far better and the rear-brake was a revelation compared to the wheel-locking experience I’d had with earlier models of the Adventure. 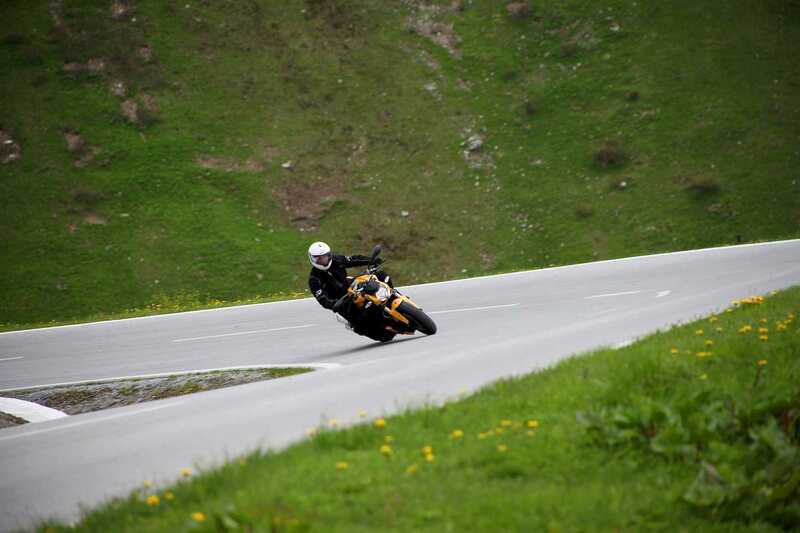 Overall, the KTM did have the edge on these twisting roads. BUT, if you’re not flying-in for a test-ride it has to be said that the better tank (and arse) range of the Ducati makes it a lot more practical for getting to the lumpy bits of central Europe, and home again. Or you can make all your own arrangements for bike-hire (£100 per day) and kit (another £50). The local Tourist Board is responsible for the whole venture and it helps that the people who run it are riders themselves. They can assist with travel and accommodation, and many of the hotels and guesthouses in the region advertise themselves as rider-friendly.